The keto diet is THE DIET to be on right now. Simply put, it’s very low-carb diet (typically 20 carbs or less a day), which turns the body into a fat-burning machine. While you may think it’s just another ‘fad’ diet, it actually has many weight loss, health, and performance benefits. 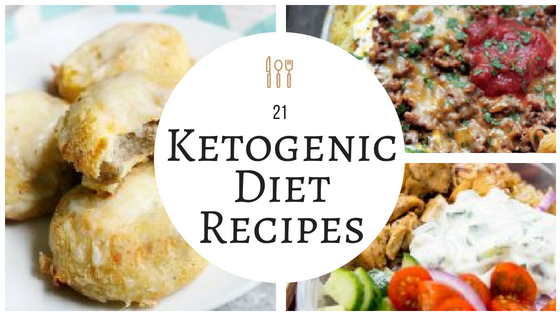 If you’re looking to start low-carb, these ketogenic recipes are great to get started and incorporate into your next meal plan. Not only do they taste great but they will help you shed those extra pounds. My goal is to show you exactly how easy and yummy it is! 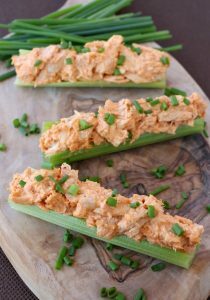 Try these Week of Keto Recipes That Taste Amazing this week and see if you love keto like I do! Leave a comment on which one YOU can’t wait to try! 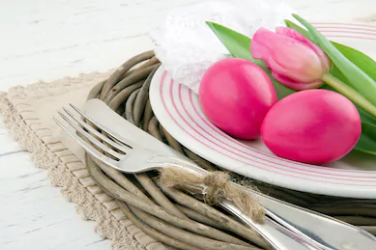 When you follow a low carb, LCHF or ketogenic diet, you find that you end up eating a lot of eggs. Eggs for breakfast. Eggs for lunch. Even eggs for dinner. So you search for creative options to give you some variety with your low carb recipes. 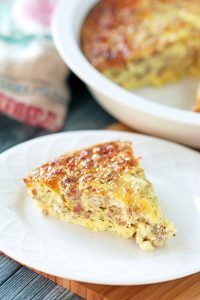 I like to use eggs sausage and cheese to make an easy breakfast casserole or a breakfast strata. Depending on what you add to it, it can work for any meal and really you have a limitless variety of meal options. Plus it serves a lot and is very filling so you can turn it into multiple meals or serve the whole family for a single meal. 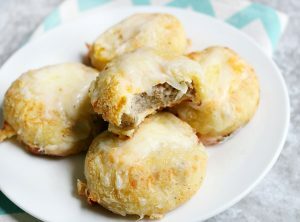 Keto Breakfast biscuits hugging gooey, melty cheese and breakfast sausage. Perfect for those who are not a fan of eggs! Freeze and eat all week. This recipe is made with a version of fathead dough. I am sure you have heard of it! If you haven’t, it is a low carb and keto friendly, gluten free version of dough that works great for pizza, roll, bread and of course biscuits! Fathead dough uses melted mozzarella cheese as the “gluten” to hold the dough together. The flour is typically almond or coconut. You will not miss the hash browns. 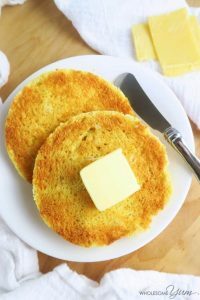 A paleo low carb English muffin recipe that’s soft and buttery inside, crusty on the outside. These gluten-free English muffins are easy to make in 2 minutes, with 5 ingredients! You know a recipe is good when you plan out several meals to have during the week, and instead you just keep making the same simple food over and over. That’s what happened here. I started by trying to make gluten-free English muffins low carb. I was happy that they turned out to be paleo English muffins, too. And they were so good, I just kept wanting them over and over! 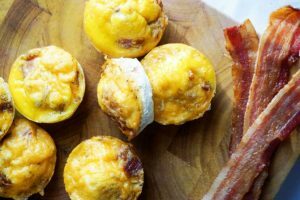 In fact, I made this low carb English muffin recipe for breakfast every day this week. 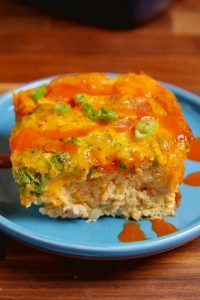 Not only is this quiche very high in protein and very low in calories, it only requires three ingredients and could not be easier to make. It’s also absurdly delicious, regardless of how ridiculously healthy and easy it is. 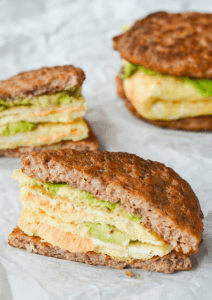 My favorite keto breakfast sandwich is low in carbs, high in healthy fats and off the charts in flavor! The sausage on the outside is the perfect touch to make you not miss the bread at all! This high fat meal will keep you full for a long time. Lunch also tends to be convenience items. 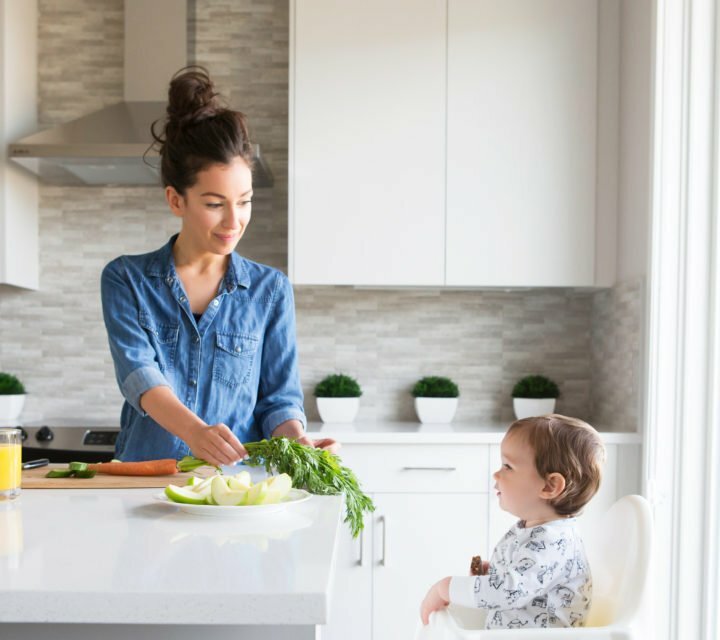 Whether you are at work, or a busy mom, you need easy. I’ve compiled a week of what I think are easy, doable lunches and these happen to be favorites of mine. I find that if I have simple grabable items, I’ll be less likely to indulge in the naughty ones. My all-time favorite sub sandwich has always been an Italian sub. Something about that combo of meats and provolone with a simple oil and vinegar drizzle is just perfect. And now I can eat it any day of the week and have no guilt, plus it fits in perfectly with my current keto needs. Don’t you just love the flavors of Greek foods? I love the lemon, the dill, the red onion, and more. Basically if it has the word “Greek” attached to it, I want in. This year, in an attempt to eat better, and stay on top of meals so I don’t feel as much need to snack, or binge on junk, I have started making some meal prep bowls. 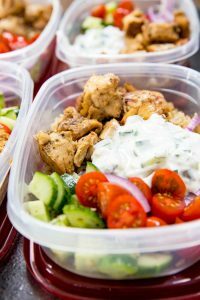 One of the ones I made was this Greek Chicken Meal Prep Bowls from Damn Delicious. It was delicious. I made it a few more times, and changed it slightly by adding a few things to the marinade, etc. But I loved it so I had to share it. Sure- nachos taste delicious, but they probably don’t rank high on the list of nutritious, wholesome recipes, especially when you’re trying to eat healthy! However, you can satisfy your cravings for this classic Tex-Mex snack without worrying about your waistline by subbing in bell peppers for ordinary tortilla chips. 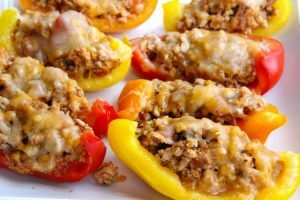 This recipe for Bell Pepper Nacho Boats calls for delicious ingredients, like lean ground meat, savory spices, juicy salsa, and melted cheddar cheese. For me, I just need to clear the food out of my sight. Getting out of the kitchen will help with that. And low carb soups are an easy way to get back on track. 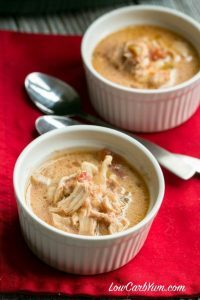 Skinny Chicken Fajita Soup is a zesty, low fat, gluten free meal with an easy low carb option! 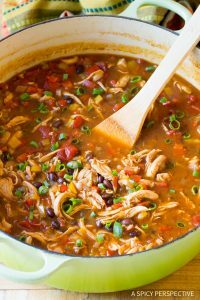 This skinny soup recipe is exactly what you need.If you love tortilla soup, Skinny Chicken Fajita Soup offers the same type of comforting Mexican appeal, with a unique taste and texture. 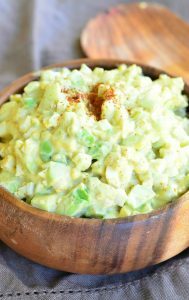 Top it with reduced fat cheese, scallion, and fresh avocado, for a dinner that will make you say OLE! Typically with “diets”, you’ll be cooking two separate meals to accommodate your family. However, everyone will love these recipes unless there is an ingredient in one they don’t like. Don’t act like there is a change. I never said I was “dieting” because it’s regular food. Tasty food! 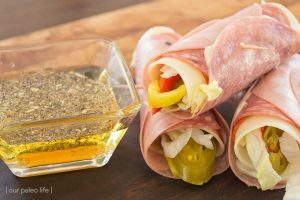 Fast and Easy – 3 Ingredients! To pull off this impressive stuffed avocado recipe all you’re going to need is 3 ingredients. You’ll need an avocado, some cheese, and our Mexican shredded chicken! 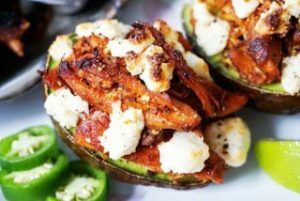 Fine, maybe you don’t need our shredded chicken, but it sure does take these stuffed avocados to the next level! You’ve gotta try making Fat Head pizza dough out of cheese and almond flour! 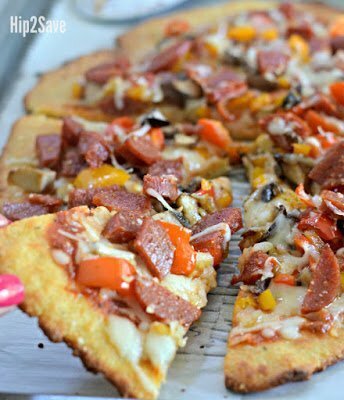 It tastes great, is keto-friendly, low carb, gluten-free, and happens to be super simple method using just a few main ingredients. Plus, I like that the texture is chewy like normal pizza dough, and sturdy enough to pick up a piece to eat! 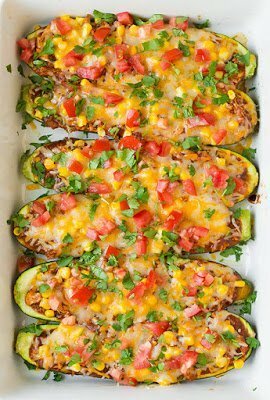 These unbelievably delicious and perfectly flavorful Chicken Enchilada Zucchini Boats! With these you save on carbs by swapping out the classic tortilla wrapped enchiladas with hallowed out zucchini boats instead. I was actually really surprised myself by how much I truly loved these! I was so skeptical at first and I thought there’s no way I could ever trade in a classic, cheese loaded, pure comfort food enchilada for a healthier version. Indeed was I wrong. I like mine sprinkled with cilantro, but that’s completely optional. You can also serve it alongside some salsa, additional sour cream, and guacamole or slices of avocado. 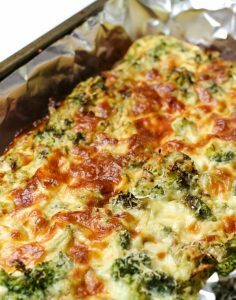 A delicious and creamy casserole filled with ham, broccoli, and a burst of flavors. 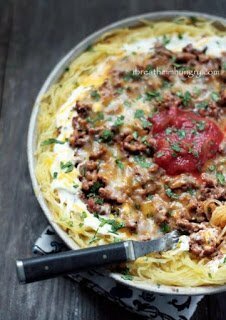 This recipe is low carb, gluten free, and a Trim Healthy Mama “S” fuel. This casserole is great for an quick and easy week-night meal, but yet it is decadent enough for a more impressive meal. Paleo Tuna Green Chile Zoodle Casserole. 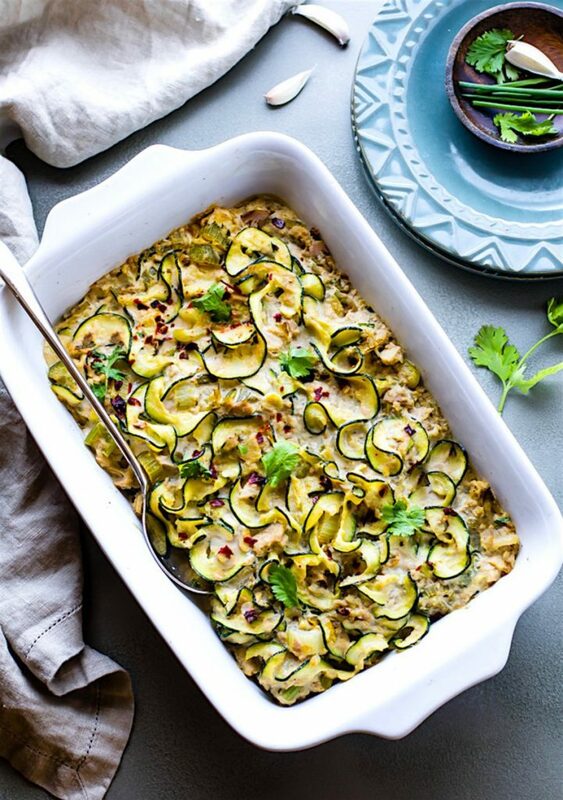 An easy, paleo, zucchini noodle casserole that’s Whole 30 approved, high protein, and low carb. Wholesome yet healthy, this dish can feed a family! A great way to use your spiralizer and boost your nutrition. 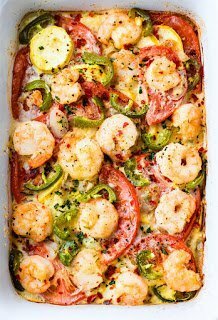 Spicy jalapeño shrimp veggie bake is low carb, grain free, and an easy to make recipe in under an hour! Seasonal vegetables, lean protein, herbs, and spices, all cooked in casserole dish even cast iron skillet. 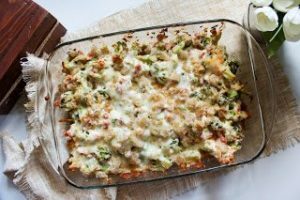 A better for you gluten free casserole with shrimp and veggies! A total crowd pleaser. So with this full Week of Keto Recipes That Taste Amazing And Help You Lose Weight, you should get an idea if keto is for you. Let me know your thoughts! When you decide you love it, and I know you will check out my other keto posts!